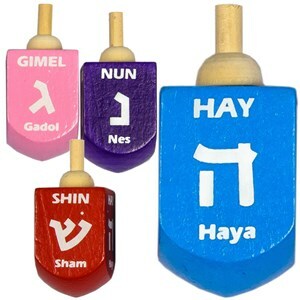 Wooden painted dreidels (red, blue, purple, and pink). White letters. Loose in a plastic tub.